Network emulation enables you to ensure your network will be ready for real-life challenges and traffic loads. Testing your network or service in an optimal laboratory setting will not yet reveal how it will handle realistic network conditions. To ensure consistent Quality of Service, you will need to stress your system with a range of impairments from basic delay and packet drop to more advanced deviations and various traffic loads. Our team focuses on providing the network emulation tools needed: our Rude IP deviation emulator recreates any real life challenge in the lab and our Ruge IP load generator creates realistic traffic. Network emulation brings real life to lab, to ensure your network achieves its targets. 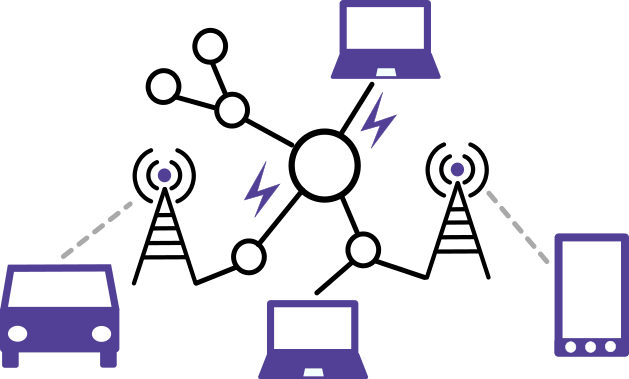 Bring realistic network conditions to the lab to confirm the functionality of your network in the early stages of the development. This enables you to save time and money and avoid surprises when deploying the network.